Last year, when Evans and Sir Chris Hoy launched Hoy Bikes, the more cynical British cyclists suggested it was a marriage of marketing convenience to take on the Halfords/Boardman partnership. However, we were invited to spend a day with Sir Chris before the brand launch, and the real story was quite different. Chris found most off-the-peg bikes unable to handle his power and wanted to make his own bikes to rectify this. 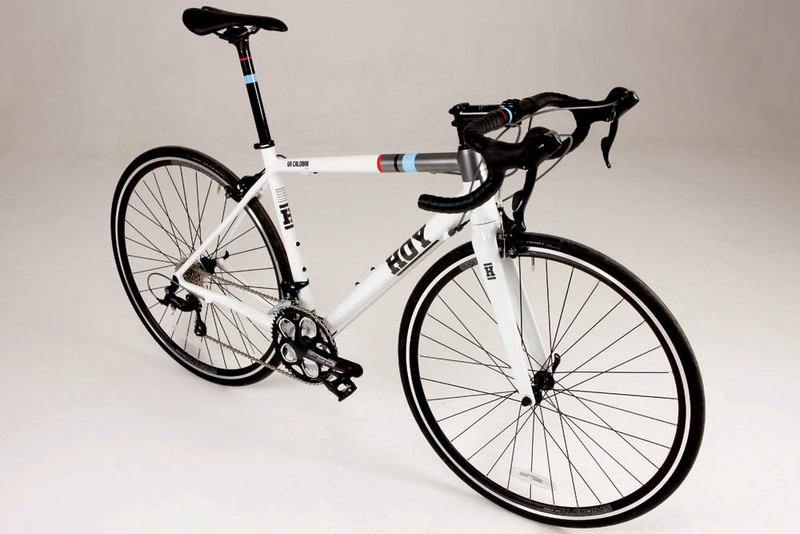 The personal preferences of the people behind the bikes come into play. So while somebody like Chris Boardman, 45, grew up on road bikes that had traditional geometry and the excellent bikes that bear his name tend to reflect that, Chris Hoy, 35, grew up with BMX and mountain bikes, and the frame shapes of his machines are a lot more compact and aggressive. Translated to the tarmac, that means the Sa Calobra provides a very direct experience when it comes to power delivery — it really feels like a road bike that’s been designed by a track sprinter. Add to that a strong, capable, controllable front end which provides enough reassurance it will keep you headed where you want to go, whatever amount of power you’re putting out. There’s a sort of go-kart feel about it all. That could mean it’s not the most comfortable bike to spend long hours on, but it actually performs surprisingly benignly. Little road imperfections are coped with happily enough; only the big hits have your teeth jarring. In fact, it’s not the frame that worries me most about long days in the saddle — it’s the cassette choice that’s the issue. 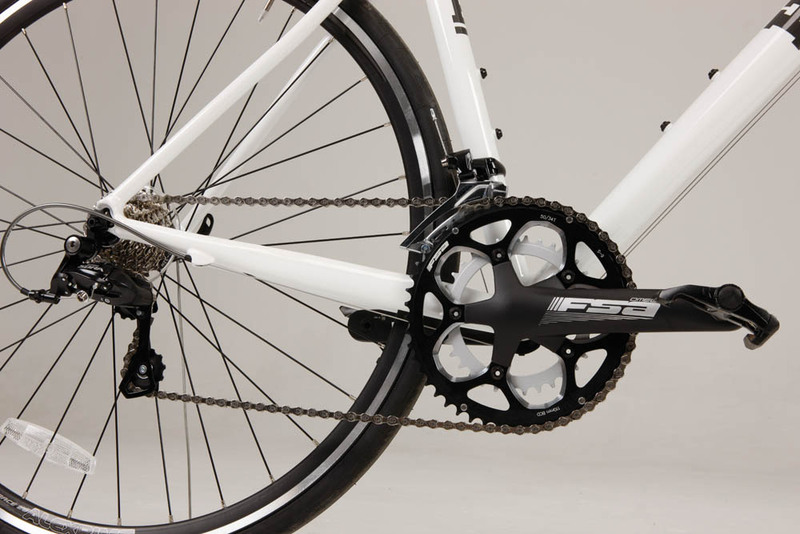 There’s a 25-tooth biggest sprocket. 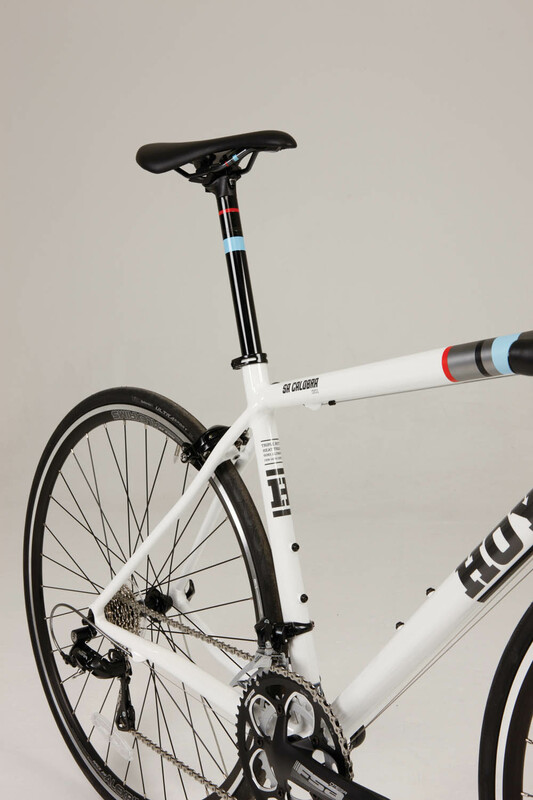 While that is acceptable on a £1,500 bike aimed at relatively experienced cyclists, it’s slightly less sensible on a £635 bike from a brand trying to attract new riders. That’s the one blip on the spec sheet, though. 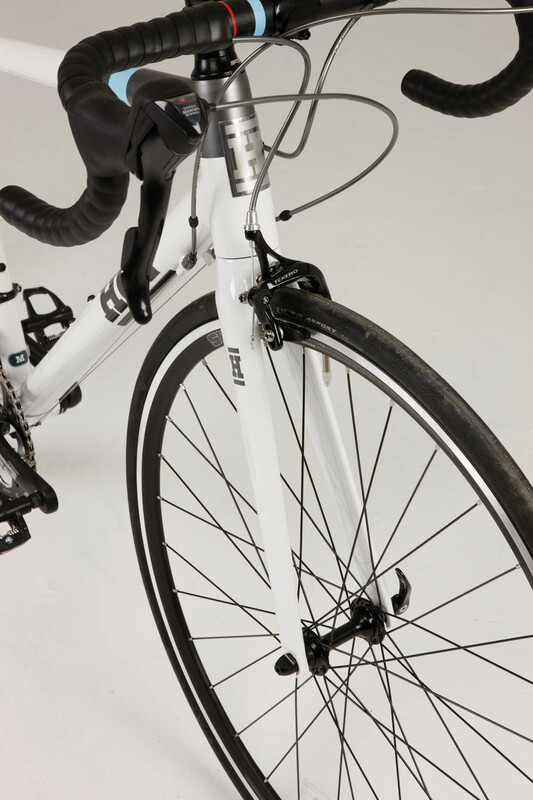 The Tektro brakes in combination with the Shimano Sora levers work a treat — far more powerful than I expected — while the Sora gears shift sweetly and very securely. If it was my money and there was the option of Sora or Tiagra, there’s no question I’d save some cash and take the cheaper option. Now, a quick word about finish. The first Hoys to launch came in a rather muted, black and grey design. They looked perfectly smart, and certainly on trend for 2013. This newest, cheapest Sa Calobra is a little different, with a brushed aluminium-style top tube front half and off-white paintjob. It looks very swish. Aside from performance, the Sa Calobra has some obvious plus points — not least build quality and carbon fork. Finally, one of the things Sir Chris said very clearly was that he wouldn’t be making women’s and men’s bikes — he’d just make great bikes in a wide range of sizes. The Sa Calobra is available in everything from XXS, suitable for riders from about 5ft 2in, up to XL suitable for riders up to 6ft 4in. So it really is a sprinter’s road bike for the masses. The Sa Calobra .001 offers road riders all the thrills of a very responsive frame with some tried and trusted components. It’s not a super-competitive deal financially, but we doubt there’ll be any complaints about performance.